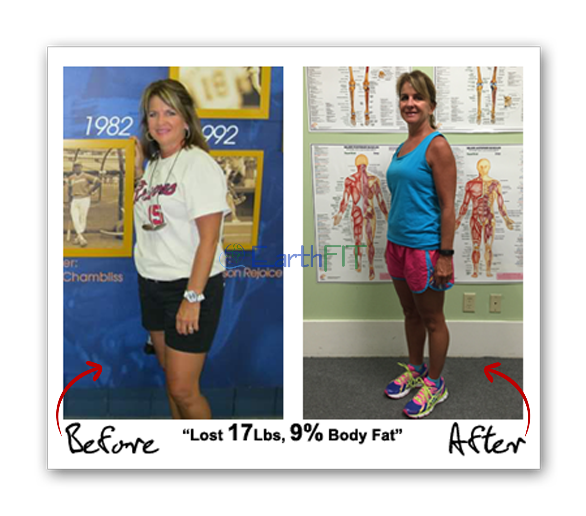 “Before EarthFIT, my life included a lot of migraine headaches, I weighed 217 Lbs, I was out of breath doing just about anything. I actually went to a rheumatologist because I had so many aches that they thought I might have lupus or some sort of other autoimmune disease because everything hurt including my hands, my feet, my back, my joints and every aching pain in my body. I even had pains in my teeth and so I went through a whole series of blood test and everything else, and they ruled everything out except they said that my weight was causing most of my issues and they said that I needed to gain strength in my muscles and so I knew I had to do something. I came to EarthFIT because I didn’t really know anything else to do. I was trying to do things on my own like walking and doing some exercises at home, but it just wasn’t doing enough and so I came here and decided to see what it would do. The results here have been significant weight loss, but more so than the weight loss has been a severe amount of energy. I can do just about anything from the time I wake up to the time I go to Bed. I feel strong, I don’t feel like when I’m doing things I don’t get fatigued like I used to. I don’t feel pain when I’m trying to accomplish tasks like when I’m doing anything from mowing the grass to doing things with my kids even in swimming from the pool with them, carrying them up the stairs, even putting them in the grocery cart, doing the grocery shopping, simple tasks like that, even standing at the stove cooking dinner, everything is much easier. The confidence level has gone through the roof, when I look at the mirror I feel strong and I feel healthy, I feel good about myself and since I’ve been here I feel like it’s changed my life. 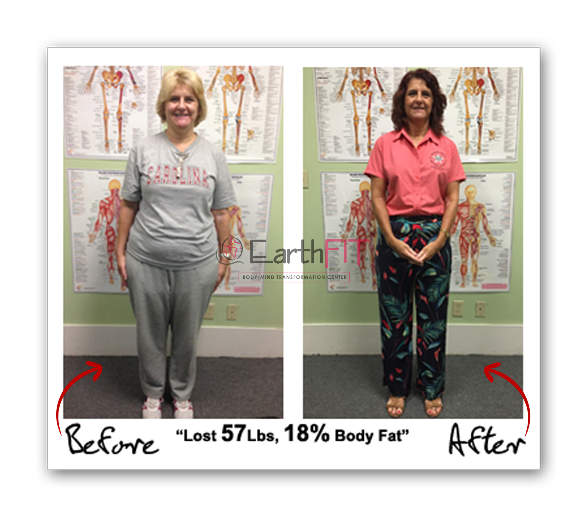 I was very skeptical about EarthFIT, I really didn’t understand how the program worked, I was very self conscious about it, because when I walked in the door I could see all these people doing these exercises I never pictured myself being able to do. It was very intimidating to me when I walked in the door. I never pictured myself being able to do deadlifts with kettlebells, trap bars and then pull-ups and all these things. I just couldn’t have pictured myself being able to do them and so once I got into the program and it was so personalised for each individual person and they start you at such a slow pace and work with you and your level and get you into the program and work you into each individual exercise and work with your strengths and weaknesses that it really builds your confidence with each exercise and before you know it you’re doing things that you never knew you could do. When you first make the commitment to start going to the gym, it seems like it should be an easy task. However, it only takes a few distractions before life starts to get in the way. It’s tempting to spend that extra hour sleeping, or catching up on your favorite show, or meeting friends for a drink after work. And when you’re not seeing the results you had hoped for, it certainly can feel like you might as well throw in the towel. If other people can do it, why can’t you? Luckily, there are some quick, easy habits you can get into to maintain that drive to stay active, day after day. If you’re looking to keep yourself motivated to go to the gym, try incorporating some of these tips – you might find the encouragement you need to stay on track and achieve your fitness goals. Whether you decide to invest in a smart watch, use an app on your phone, or just log each workout on your calendar, keeping track of your exercise gives you the chance to see improvements that might not show up on the scale. Maybe you can do more reps of each exercise, or you’re putting more miles on the treadmill in less time – celebrating these small victories is a great way to stay on track. If you’re comfortable with it and you have a supportive network, share your progress on social media for even more encouragement and motivation. You can take that idea a step further and find yourself a group of friends who are willing to hold you accountable for your fitness goals. Either recruit members of your family or friend network to hit the gym with you, or reach out to someone who seems to share your interest in health – maybe at a spin or yoga class. 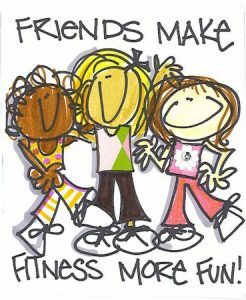 If you can make your daily stop at the gym into a social outing where you can reconnect with friends or loved ones, you’ll find yourself looking forward to your workouts. And not only will you be building muscle – you’ll be building relationships. 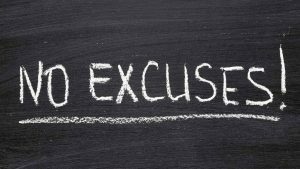 The more excuses you can find to get out the gym, the easier it gets to skip your workout each day. 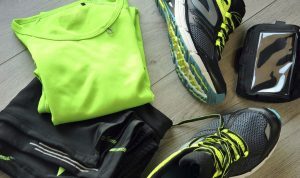 Maybe you only have one pair of jogging shorts, or you keep your gym bag tucked in the back of your closet – whatever it is, you’ll find a way to use it to get out of hitting the gym. Get yourself enough workout clothes to last the week without having to do laundry, and keep all your equipment within view. If you can make going to the gym an easy part of your day – and one that’s hard to ignore – you’ll be much more motivated to keep it up. For working out to become a habit, you need to make going to the gym and being active a normal part of your daily life. Not only should you schedule a time to hit the gym each day, you should find other ways to incorporate activity into your routine – take the stairs, walk around your office building during breaks, and park further away from the store when you pick up groceries. The more ways you can make fitness a part of your routine, the more natural it will feel to spend that hour at the gym, every single day. Set realistic, achievable fitness goals – and don’t be afraid to reward yourself when you reach them. However, this doesn’t mean splurging on a big meal that’s going to undo all your hard work. Find treats that don’t involve food, like buying yourself a new pair of running shoes, getting yourself a massage, or take a day off work to spend some time doing your favorite hobby, guilt-free. Whatever it is, let the promise of the next reward encourage you to work even harder at your next set of goals. Hopefully, making some of these changes will make it easier for you to get in gear and keep yourself motivated to hit the gym. You can keep this list bookmarked or even printed out in a spot where you’ll see it regularly, to stay focused and working toward looking and feeling your best. Your health and fitness goals are within your reach – just keep that motivation up! This article was written by Jon Reyes from Clearwells. He has over 10 years’ experience in writing health related topics and specializes in the health benefits of saunas and hydrotherapy. 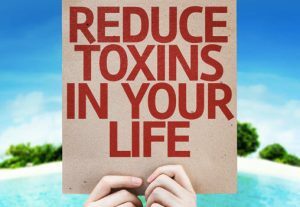 Do know what determines how many toxins you currently have stored in your fat? 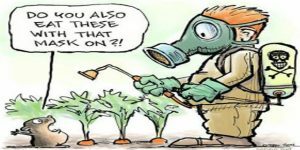 Did you know that we are exposed to about 500,000 toxic chemicals a day and about 50,000 more are added yearly? Chlorine, Fluoride and even varied pharmaceutical medications are added or leak into our water table. After years and years these toxins bio-accumulate in the body and get stored in the fat. Your brain is 60% fat and all these chemicals that bioaccumulate can and typically will lead to many health complications or neurological issues. And what happens when health challenges pop up? We go to the doctor and they give us more chemicals and toxins in the form of medication that only mask the symptoms. When we take a simple 5 step process (if all are needed), virtually all issues will disappear. Most people can jump straight into number 3 and see dramatic changes. Shoot me a message and I will fill you in with more details. I will be taking only a small group of committed people through Mind-Body Purification Program or EF Detox. Hit me back with “I am interested, please send more details”. “Hey! What’s up? Today I wanted to speak to you specifically about Delayed Onset Muscle Soreness (Also known as DOMS). This is when your body becomes sore after training. So typically, the first time that you train your Delayed Onset Muscle Soreness is going to be the most severe because the training is like a shock to the body. It is moving outside of homeostasis, there are small microtraumas that happen to the muscles and the body is not prepared for what is occurring. 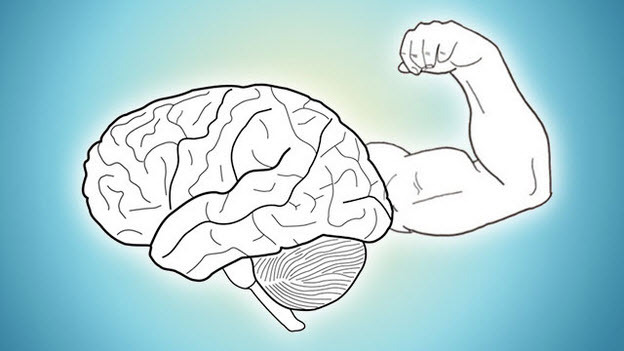 The good news is that this process is what makes you stronger, gain more lean muscle, and have better brain, mind-body connection. So DOMS typically occurs 24-48 hours after training. It can happen much faster, it can last much longer, but that’s the typical range. I’ve had soreness that’s lasted me weeks before because I over did something, you know, way way too much. And I’ve also had it hit me real fast and there’s reasons to that, as well, because that’s going to be the next thing I’m talking about, which is nutrition and that’s like if we went to a whole… I could do a totally different video just on nutrition for this, but I’m just going to cover the basics. The more water you have in your body, the more cells you have in the body, the more balanced the cell is with nutrients, minerals, etc. the less soreness you’ll have, and the faster you’ll get nutrients in right after training. You have about a 45 metabolic window of time to get you know good lean protein in with a little mix of carbs so the carbs helps transport the protein to the muscles and helps the repairing process. If you don’t have a lot of water in your body, you don’t get the nutrients you need, you don’t have the nutrients before you train, your soreness will go up. Think of it like, again, not having oil in the car, right? so rusty muscles going against each other. So, the more water you have way before your training the better, the more water you intake after, the better. Your recovery will be much better. The eccentric phase of the movement is when the soreness occurs, that’s what creates the soreness. So when you go down on the squat, that is the eccentric phase. Right, when you’re walking down the stairs this is something that typically happens: people say, “Oh my calves are sore, it must have been from walking up all the stairs.” Well, actually, it’s from walking down the stairs because as you step your calf has to decelerate the movement and that’s the eccentric motion which creates the soreness. So, anytime you’re doing the eccentric motion, that’s where the DOMS comes from. It’s also where most injuries occur in exercise. So, starting out, you always want to go slow in control movement pattern so you reinforce the proper movement, the connection from the brain to the muscles, etc..
Now we’re gonna move on to the recovery portion. How do I recover faster from DOMS. Well you can increase the rate of recovery. Nutrition we already spoke about so the more water you have inside you before you train and after the better, so after training keep drinking more water but light activity will help increase the process; getting more blood flow, nutrients and oxygen so your blood flows and circulates, right? that’s one of the main reasons for the cardiovascular system is to circulate the blood and clear out trash. 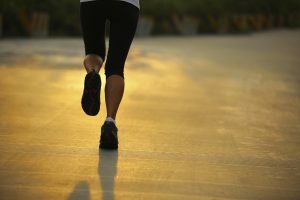 So what you can do is something like light jogging, light stretching, or even going into a sauna and then coming out and doing light stretching. This will help flush out some of the trash, the lactic acid that has been built up. It will help get more blood flow, more oxygen and nutrients to the area that has the microtrauma and this is how the repairing process begins. And this is true for injuries like real actual injuries like a bad sprain ankle, right? People say like lifted elevated, don’t move it. It’s actually good to get your heart rate up and get the blood flow circulate through the foot not necessarily using that foot that you injured, right? so I want to make that clear you wouldn’t be walking on the foot you injured but doing others stuff like upper body or maybe the other leg on a bike will get your heart pumping the blood and flowing to help repair that injured area. So it’s the same for muscle soreness. One of the best parts about training is if you are training and then you get injured or you go into surgery or something like that, your recovery process is about 50% better or faster because you’ve been training and you’ve put that stress on the body. Your body knows how to repair itself faster so when you get an injury or have to go for surgery, it’s much easier and better to recover. So we went over that more oxygen and blood flow you can get to the body by doing things like hot showers, going into the sauna, doing light cardio, some light stretching will help the recovery process and if you’ve seen our video on supercompensation that is specific wher,e you know, you’re going to training your body actually fatigues while training and then you recover and your body recovers at a better state, and then you can train a little bit harder and typically the soreness should go down if you’re adapting the body properly: not too intense, not too fast, not doing things too soon. 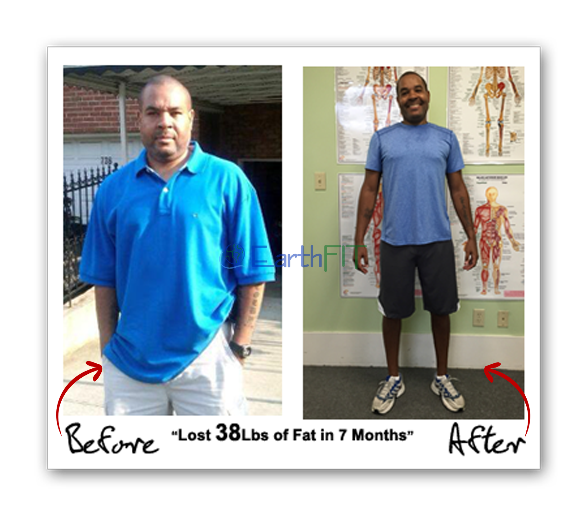 Ian Hart is a Body-Mind Transformation expert, the creator of EarthFIT Training Systems, co-creator ofBACK PAIN RELIEF4LIFE, and founder of BEAUFORTPERSONALTRAINING.COM andMYBACKPAINCOACH.COM. Ian and his team help people get into optimal shape in the safest, fastest and most effective way possible, using cutting edge science. “Hey! What’s up? So I wanted to go over with you something extremely important. I’ve already probably mentioned it to you if you came in for the assessment but I want to do a video about it because it is so important for your results, for your safety and for your health. And that is what we’re here for. So, what is it? Well we’re talking about the warm up, right? The warm up is an injury prevention. So that’s the no. 1 thing that all of these things I am listing here are going to be about, right? So, it’s an I feel safe preparation type thing, that’s what we’re doing. So I’m just gonna go down a list of the benefits of the warm up. When you’re warming up you’re getting yourself ready, you’re getting your body and your mind ready for the training. Remember we say like 80% of everything or you hear that said 80% of everything is mental right? Well, that’s true! Training is mental. The preparation for training is even bigger and better than you can even imagine. You will get 10x the result, you’ll feel much better when you do the warm up and the proper warm up. And what is a proper warm up? Well, I’ll get into that. It (2) Increases your Core Temperature and your Heart Rate so that means you’re getting more oxygen to the body, more blood flow to the muscles, the muscles will work better, you’ll get better results, and you’ll be safer in the training. It also (3) Increases Proprioception. Proprioception is an awareness in space. It allows us to touch our finger to our nose, so when we’re out there doing movements, we’re gonna do better movements, more masterful movements and then you’re gonna activate the muscles more and better to get more results. The nervous system works by you sending info from your brain. You’re firing electrical impulses and information to your extremities to get them to move. The more information you send, the more muscle fibers you activate through the motor units. The motor units recruit your muscle fibers and then you get more out of the training. Again, all of these leads back to getting more results, being safer. It (5) Activates Synovial Fluid to lubricate the joints like oiling up your joints. So if you just jump right into workouts all the time, that’s a lot more force going on to the joints without the lubrication, so think about it as driving a rusty car all the time without oil. You’re going to break down a lot faster, a lot sooner so and this is another reason why water intake is extremely important right? That’s another separate video aside from this but it’s in combination everything works together. So we want to activate synovial fluid to get the joints more lubricated and ready to move which will help up us. (I’m gonna jump to no. (7) Increase in our Strength, Mobility, Flexibility and Endurance. And jumping back to no. (6) It’s going to Encode the Proper Form and Technique when you move back into the training area. So say, you do your warm up and then you’re going to the training area, your muscles are activated you’re mentally, psychologically prepped , your blood flow is going, your heart rate is up. Now, you’re gonna burn more calories, you’re gonna burn more carbs which is our prefered source, the body’s prefered source of energy, you burn the carbs in the warm up and then you’ll burn more fat in training. And that’s what we’re here for. Burning fat, gaining lean muscle and feeling better right? It also helps detoxify the body. So, what’s the best way to warm up? Well, the warm up ideally would be about 20 minutes long. If you’re just starting out, that’s maybe too much for you to handle. So 5-10 minutes minimum is what we want and we have a few different options. We have a you know our actual warm up video or you can go around jogging, that will get your heart rate up. It’s a good way to meditate, psychologically prepare or you can use the cardio equipment which is always the last thing I recommend for people because I want the people to move kind of in the range of motion that they will be moving when they get into the training which is kind of squat patterns, pressing, arm movements right? This is why mobility drills and warm up drills are extremely important. There is a simple formula for success. when people tend to make new goals or try to start over fresh. not stop when obstacle come up. We ask this because as coaches we are not magicians. We need commitment first and foremost to help anyone in any endeavor. person trains consistently we can get them AWESOME results fast! P.S. We got super busy before the New Year and only have a few membership spaces open, so if your serious about make a transformation in 2016 reply to this email. P.P.S. Here are a few people who were committed below, pretty awesome, right? The MYZONE MZ3 is here! how much effort your exerting based on your heart rate etc. 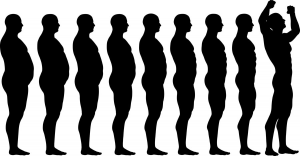 perceived exertion (The scale of 1-10). option and my friend told about MYZONE. MYZONE’s MZ3 is the most relevant and versatile fitness tracker on the market. You can purchase your MYZONE belts at the Lady’s Island Location. P.S. This is day 3 of the Gallon Challenge. 21 days of drinking a gallon of water a day! P.P.S. We donated $400 to Toys For Tots. Thank you for all the donations! P.P.P.S. Next week I am launching the first ever Body-Mind Transformation Retreat in Costa Rica. I will be updating you with some pictures and stories. Come 2016 we will have a special offer for EarthFITters. “Hey! What’s up? So I’m sitting here just doing some work, planning things out and doing some quiet contemplation and I was thinking about the issues that people bring up around certain topics and this is part of the Drama Vs. Data theme that I’ve been going with… so the Drama Vs. Data theme is you know when people get on the scale, are they creating drama or just looking at as a data point. And so here’s the thing… when someone has drama of getting on the scale the only reason that they have drama is because their belief systems around where their weight should be, they believe they’re in the wrong, they believe not where they should be. Well, they’re exactly where they should be because that’s the reality of the situation, right? so the accumulation of all the past decisions and actions have created where they should be. All right, think about it like this… we have MYZONE belts. It’s a strap that goes around your chest, it checks your heartrate, it tells you how many MEPs like how many calories kind you’re burning etcetera, how much energy you’re putting up based on your heart rate. I’ve yet to see a person go “Oh… no! I don’t wanna see my heart rate, I can’t see my heart rate…no! Oh God! No…” which is what we get with the scale right? “No… I don’t wanna weigh in today, I don’t wanna check my weight, I was bad over the weekend… can we weigh in later? I don’t wanna say… blah! blah! blah!…” and on and on and on and drama drama drama stories drama, stories drama. Well why isn’t that true for the heart rate? Well, because the heart rates are reflection of past decisions, etc.. Well the reason is there’s no stories in line around the heart rate. You know in the media there’s images, impressions, thoughts and beliefs that are put upon us by our parents, the media, etcetera like all these things they’re impressed upon us and we have a belief systems about where we should be. And people don’t wanna step on the scale because they don’t wanna see the reality or the truth. They don’t wanna face the truth, they don’t want to accept where they are at. Acceptance is the first step in the transformation process. Once you get through acceptance, then and only then can you change. All right, so stepping on the scale if there’s an issue there’s a lot much deeper work that needs to be done so we’re transformation experts in getting people to lose weight, also mind-body transformation incorporates the mind aspect which is more powerful right? so if you lose the weight but you still have the problem with the scale, the transformation is not taking place. Resistance training is so much more than just working out your muscles and losing weight/Fat. Strength training is increasingly promoted for its many health-related benefits including a lower risk to all causes of mortality, fewer cardiovascular events (i.e., heart attack, stroke), improved body composition, better glucose metabolism and insulin sensitivity, and lower blood pressure in persons with pre-hypertension and hypertension. Improved quality of sleep, research indicates that physically active people usually have healthy sleep patterns and a lower risk to sleep apnea. Furthermore, the research shows that depressed persons with sleep disorders show a 30% improvement in sleep from a regular resistance training intervention. These results appear to become most effective after 8-10 weeks of consistent resistance training. Improved cognition, improved cognition from exercise is likely to be multi-factorial adaptations involving new nerve cell generation in the brain, an increase in neurotransmitters (chemical substances that transmits nerve impulses across a synapse, and new brain blood vessels for more efficient oxygen delivery and waste product removal. Improved self-esteem, High self-esteem is highly associated with positive physical and mental well-being. Let’s be real who doesn’t like to look good without clothes. Anderson-Hanley, C., Nimon, J.P., and Westen, S.C. (2010). Cognitive health benefits of strengthening exercise for community-dwelling older adults. Journal of Clinical and Experimental Neuropsychology, 32(9), 996-1001. Colcombe, S. and Framer, A.F. (2003). Fitness effects on the cognitive function of older adults: A meta-analytic study. Psychological Science, 14(2), 125-130. Garber, C.E., et al. 2011. Quantity and quality of exercise for developing and maintaining cardiorespiratory, musculoskeletal, and neuromotor fitness in apparently healthy adults: Guidance for prescribing exercise. Medicine & Science in Sports & Exercise, 43(7), 1334-1349.
van Prag, H. (2009). Exercise and the brain: something to chew on. Trends in Neuroscience, 32(5), 283-290. Drama Vs. Data: Which one are you feeding? “Hey! What’s up? Today I want to cover a topic which is Drama Vs. Data. Since we’re a personal training facility part of our value is tracking data and holding people accountable to move in towards the data that they are looking for and that data would be weighing people in, re-doing our InBody assessment that graphs everything out, also doing before and after pictures; and just those 3 points of data can tell you a massive amount. And then we’re also adding the heart rate monitors coming in soon. So we’re going to have polar flow heart rate monitors where you can see on the screen what your percentage of heart rate is, what your max, your lowest heart rate throughout your workout, how fast you recover, etc. and that will give you even more data. And so the more data we give the better. Now there’s difference between data and drama. Drama is… “Ugh! I’m so fat, Ugh! I don’t feel good, I don’t feel like doing that, I can’t do that… blah blah blah…” that is drama. And drama takes you further away from your goal whereas data takes you closer to your goals so for an example if someone is going to weigh in… “Ugh! I just feel so fat, I just take so much on the weekend, I hate the scale, I can’t weigh in, I don’t feel good…” that’s drama or approaching the scale by saying “You know what this is telling me that 20lbs away from where I would like to be…” and now that’s data. If you focus on the drama, you’re not going to get closer to your goal, and that drama, that feeling, and that vibration you’re giving off actually is a low energy which takes you further away from your goal whereas the data brings you closer because it’s a mindset change.